My Top 10 Best Playgrounds for Toddlers to Buy! 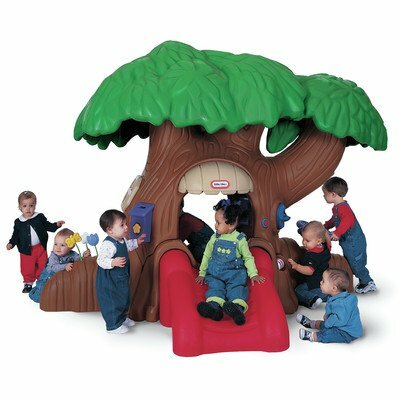 Top 10 Indoor and Outdoor Toddler Playgrounds for Sale! Are you looking for the most fun playground for toddlers to put in your backyard or basement? 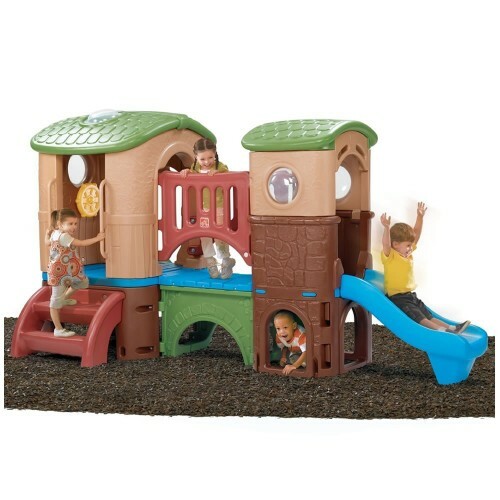 On this page you are going to find the best and most fun playgrounds for toddlers and small children being sold online! They are absolutely perfect for birthday parties or large family gatherings! You will find huge toddler playgrounds for gardens, just like this one in the picture, that fits up to 15 kids playing together, and also small toddler slides, climbers and swings for indoors or outdoors. If you have a nice space in your backyard and more than one child, then I would recommend the bigger outdoor playgrounds for toddlers just because it is the perfect way to keep children entertained for hours in a row and playing outside while mom and dads also catch up! I hope you enjoy the fun and colorful playgrounds for toddlers from here! This huge and loads of fun tree shaped outdoor playground for toddlers and small kids is perfect for a fun birthday party! It fits lots and lots of toddlers at the same time as you can see in he picture! Can you imagine all the fun the kids are going to have with this awesome toddler playground? Large Toddler Playground for a Day Care Center! This is the largest outdoor toddler playground from here! It fits up to 22 children playing at the same time! It has a slide, fun multiple game panels, a roof and a climber! Perfect to keep all the little ones entertained together! Perfect to have in a day care center! All of the kids will be able to play at the same time! 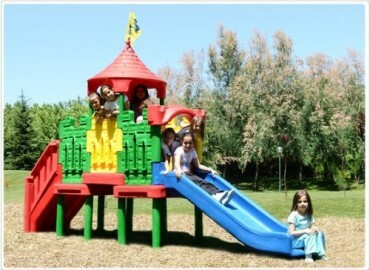 It is the best playground structure for daycare centers, pre-schools or a home with multiple children! 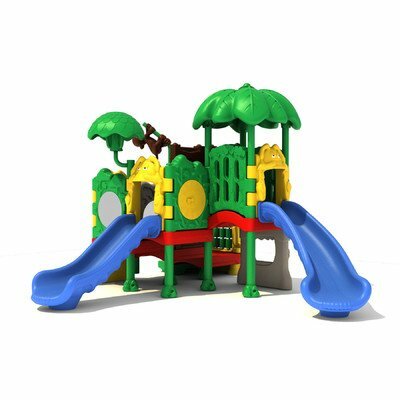 This playground is made of a heavy duty plastic that includes UV protection to keep the bright colors looking new for years and years! Step2 Clubhouse Climber: Popular Toddler Playground for the Backyard! 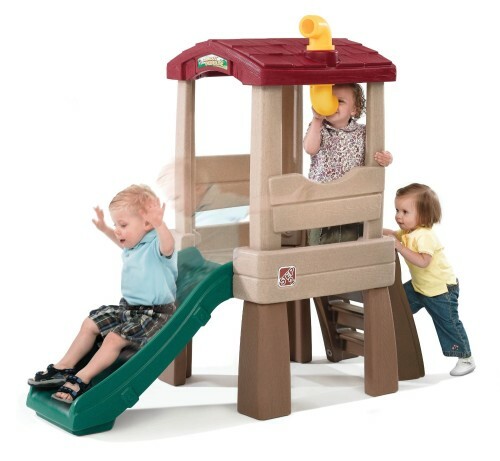 This cute and fun Step2 clubhouse climber toddler playground has everything needed for active toddlers and small children! They can climb, hide, crawl and pretend they are anything they want to be with this awesome playground! 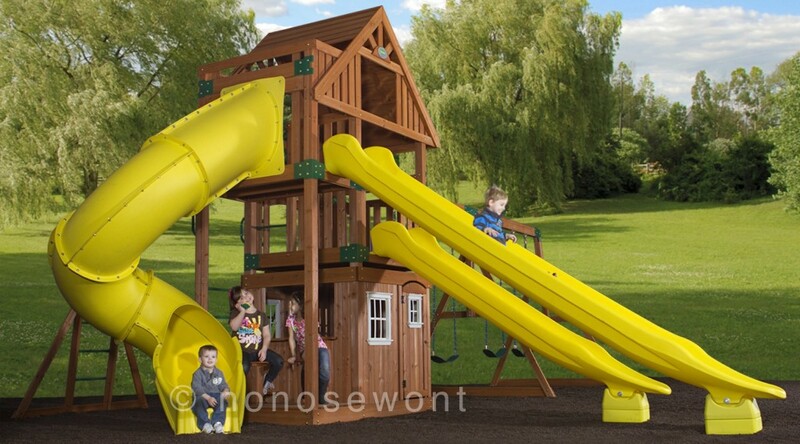 It will fit approximately 4 children playing at the same time and it’s perfect to have in your backyard! *Check out these kids enjoying their brand new playground! Best Indoor Playground for 1 Year Old Kids! This Step2 small playground for toddlers is perfect for your active 1 year old! The steps are very easy to climb and the slide is so much fun! It will be your child’s very first tree house! It is perfect for toddlers and small children from 1 to about 4 or 5 years old playing together! It’s very easy to put together and very compact. Cute and Fun Backyard Playground for Toddlers! How about this fun double slide playground for toddlers? They are going to have a blast! Besides the two slides, there is also a fun climbing wall and ladder! What a great way for your little ones to have fun and exercise at the same time! 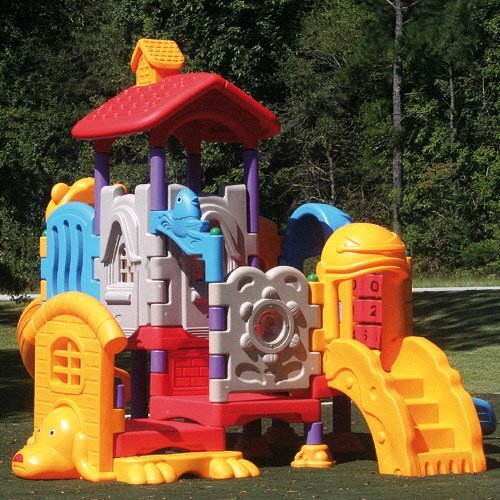 Little Tikes Rock Climber and Slide Toddler Playground! This Little Tikes rock climber and slide for toddlers is awesome! You can never go wrong by giving an active toddler something to climb on! This awesome climber comes with two climbing walls and separate climbing rocks that can be reconfigured as well! There are also three crawling tunnels for added fun! Happy buyers say this is a great toddler playground! Great 1st birthday gift idea! Awesome Toddler Playground for the Backyard with Slide and Swings! This is an awesome playground for toddlers and small children! They can climb, hide, swing and have lots of fun! Perfect for kids up to 8 years old! Wonderful gift idea for a large family with lots of little ones! Best Outdoor Wooden Playground with Three Fun Slides! This is a dream come true outdoor playground for kids ages 3 years old and up! Look at those amazing yellow slides! What about that tunnel one? It is a ‘turbo slide’! Who is going to be brave enough? There are also two swings and a huge wooden playhouse! It fits lots of children playing together, which is always a great plus! It’s also perfect for a large backyard! You will throw the best birthday parties on the block! Fun Jungle Tree Center for Toddlers and Small Children! This is a fun mountain climber, tree house style with slides backyard playground structures for toddlers and children up to 10 years old! It is perfect to help them develop their motor skills and have a blast at the same time! *I hope you enjoyed my selections of best playgrounds for toddlers from this page and were able to choose one for your own backyard!